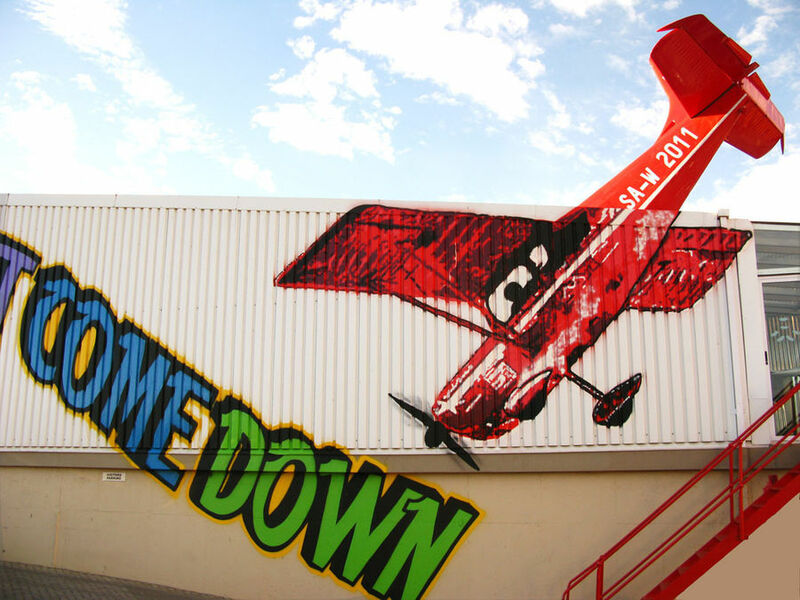 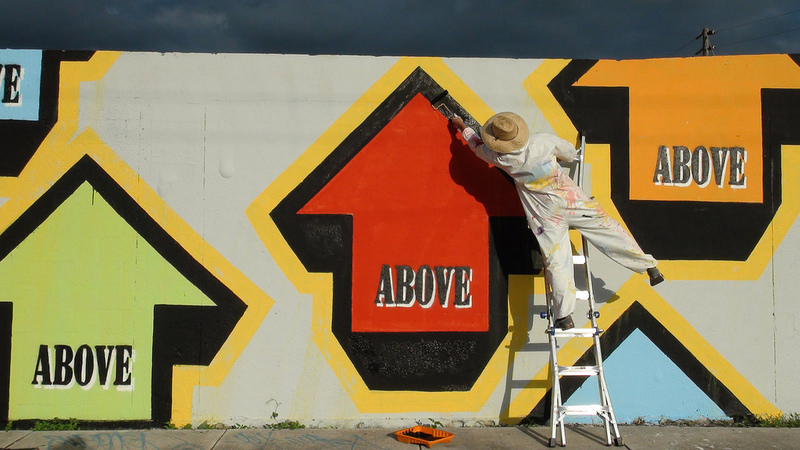 ABOVE – Traveling and Painting in the streets since 1995. 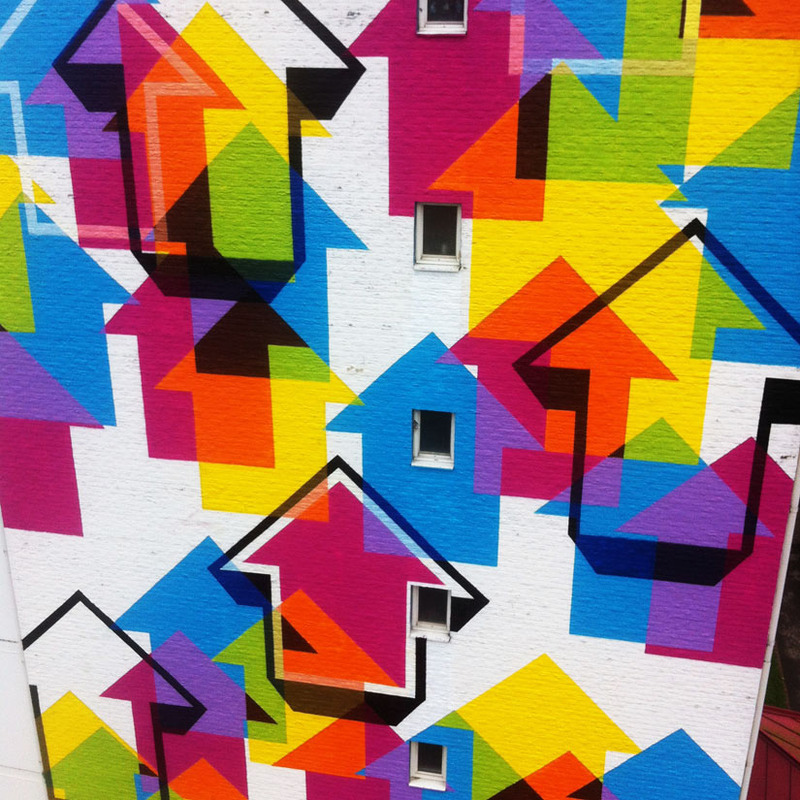 Above is an international street artist who has deliberately chosen to keep his identity concealed. 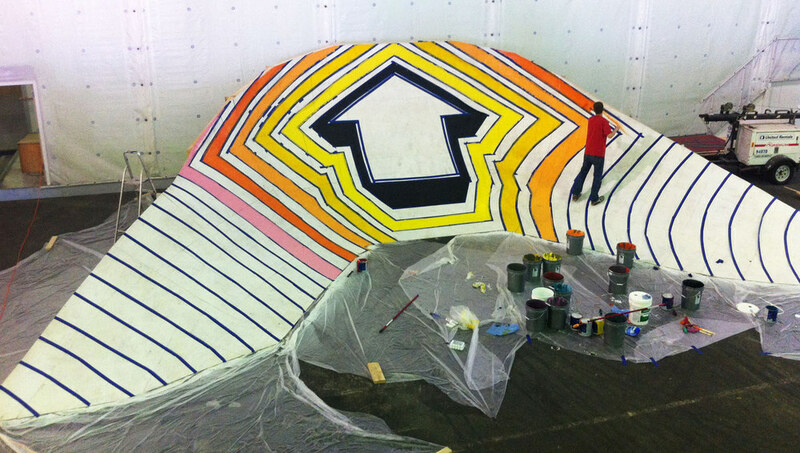 He was born in California in 1981 and has been creating public art since 1995.Above is known for his multi-layer, full color social and political stencils, spinning wooden arrow-shaped kinetic art installations, and large text-based painted murals. 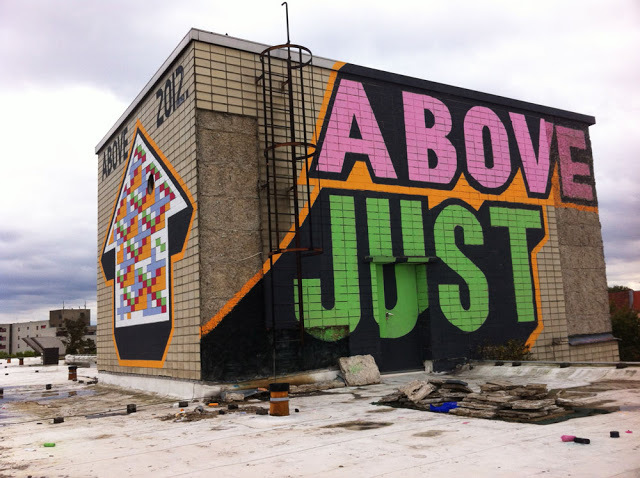 Above’s artworks regardless of medium usually have a strong message or awareness about social, political or international current events. 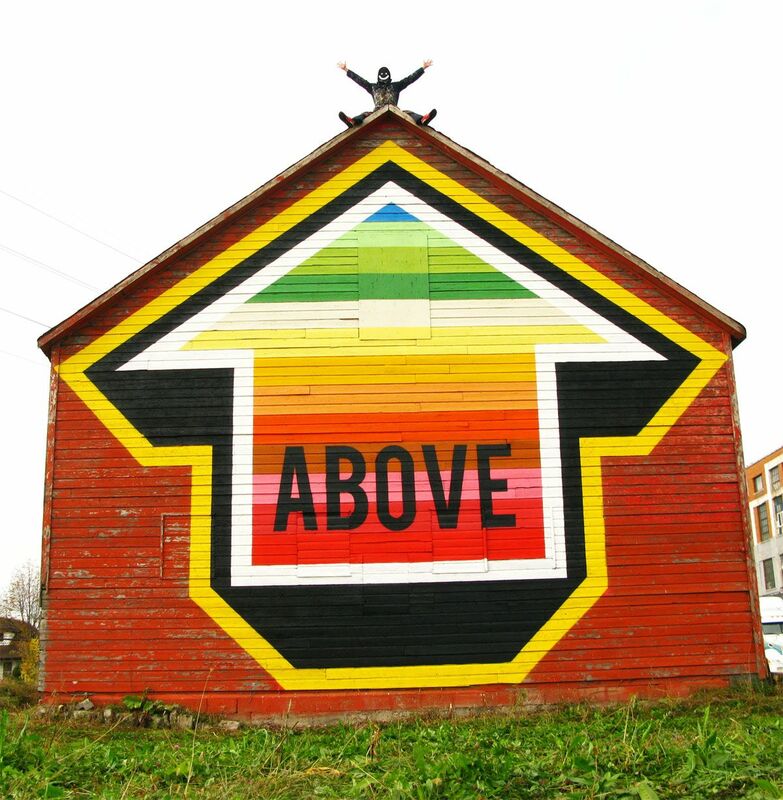 Above began painting graffiti by tagging (writing his ABOVE graffiti signature) on freight trains in California in 1995. 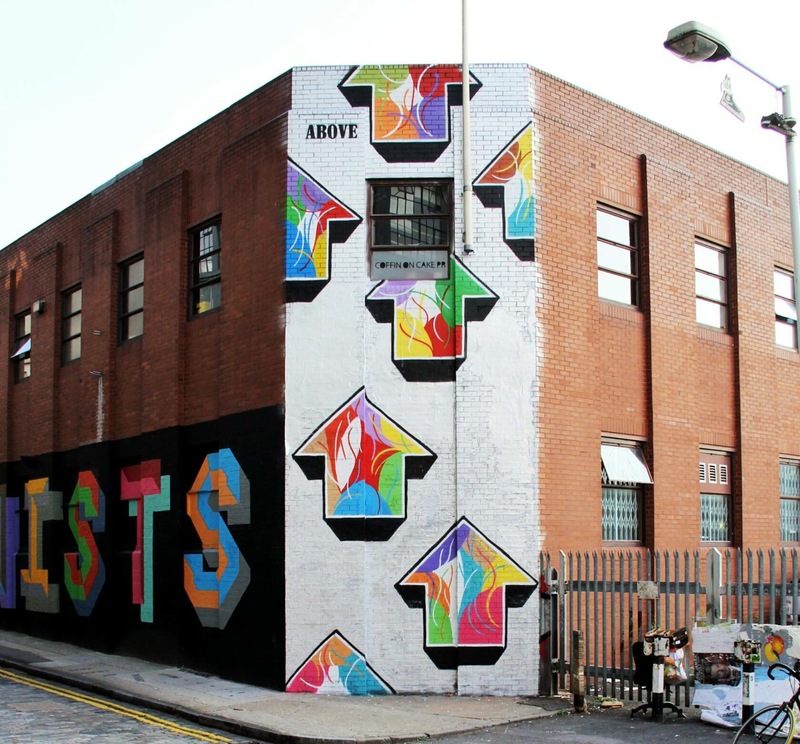 At the age of 19, Above moved to Paris, France, where he started painting his trademark arrow icon pointing ‘above’.Since 2001, Above has self-financed annual tours around the world, with each tour exploring a new part of the world and often a new medium or style of artwork. 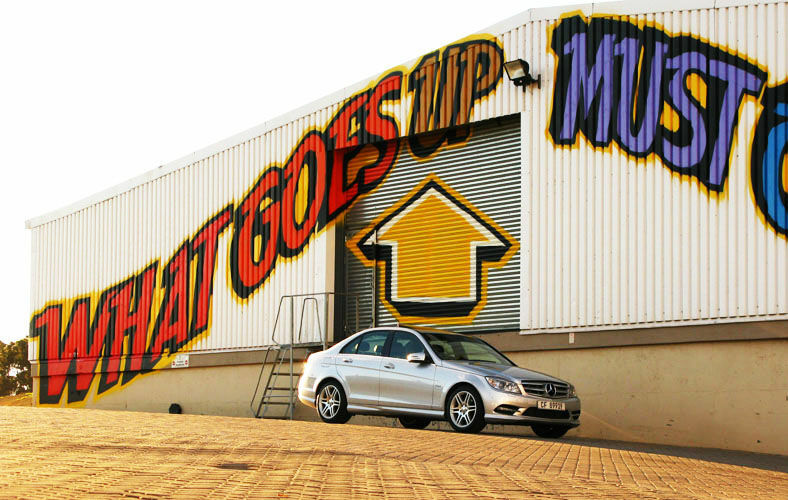 During the past 16 years Above has painted artworks in the streets of 100+ cities in 60+ different countries around the world. 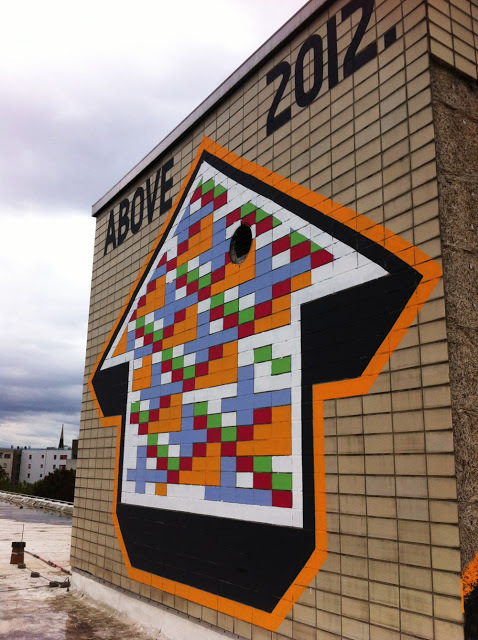 (Info source: Wikipedia). 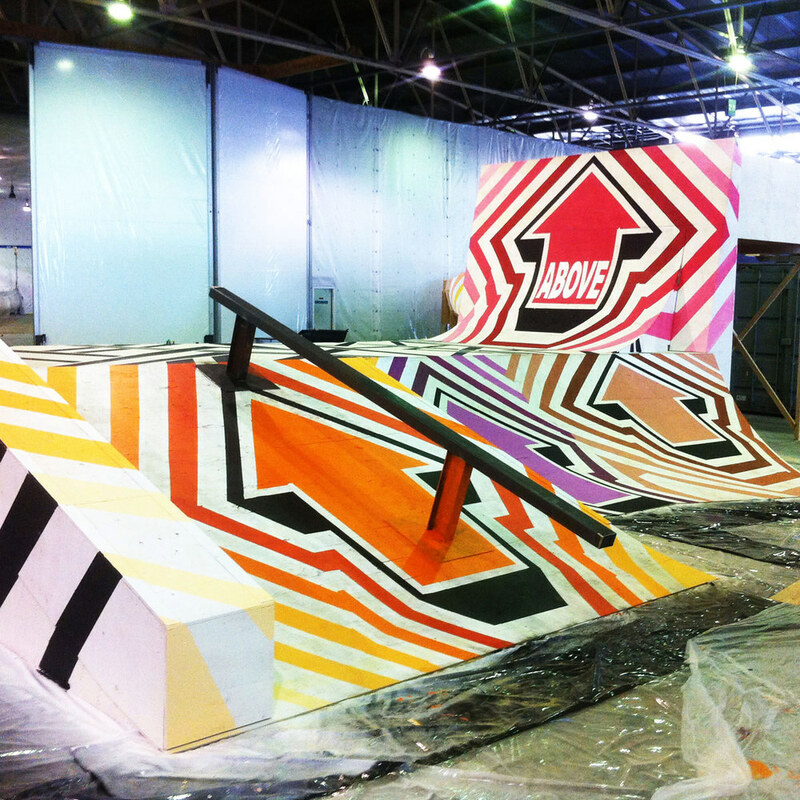 Next Post SIXE PAREDES, Painting all over since the 80’s.